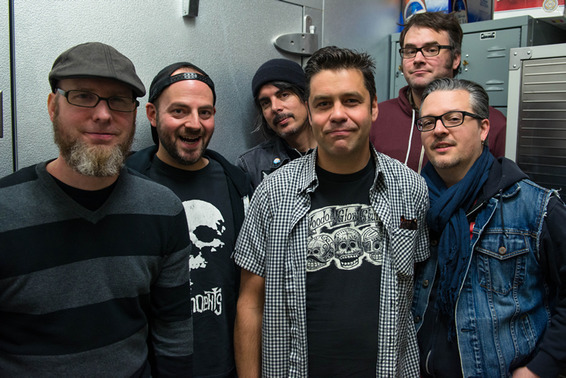 Mustard Plug have announced Can't Contain It, their seventh studio album to date set for release on January 14, 2014. Pre-orders for the record are available today from their label, No Idea Records. “I think this record is going to force a lot of people to re-assess what Mustard Plug is,” says vocalist Dave Kirchgessner. “I feel we've turned a new chapter in the band. Instead of just trying to document a bunch of songs that we play live, we took our time and got more creative in the studio and built recordings that stand on their own. Our line up is the tightest its ever been. This album is strong evolution in our sound and our art while still staying true to the goal of playing party music for punk rockers,” he explains.